We want to take you on an adventure in ON30 model railroading. What is ON30 you might ask? Well it’s a little complicated but it’s O scale, 1:48 scale narrow gauge trains that can run on HO gauge track 1:87 scale. Because it is narrow gauge the trains are shorter in overall length, the curves sharper, grades steeper etc. Railroads around the world were built in various gauges and some of them were narrow by today’s standards. Among the best known of all the narrow gauge railroads that are still around are those in Colorado, namely the Durango and Silverton and the Cumbres and Toltec Scenic Railroad. Our adventure is loosely based on that small portion of history known as the Cumbres and Toltec. 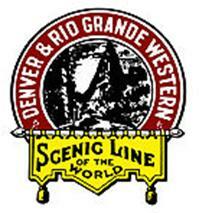 In it’s heyday it was but one leg of the Denver and Rio Grande Western Railroad. The Cumbres and Toltec is about 66 miles long, runs from Chama to Antonito and is owned jointly by the states of Colorado and New Mexico. This layout project is a joint project between two friends that love ON30 and trains! We are both involved with Train Mountain the worlds biggest outdoor hobby railroad. This takes most of our warmer daytime days. So don’t expect major progress as we work on the layout mostly during the winter and when time permits. So with that being said please enjoy our adventure. Our adventure begins with the layout room that is 20 by 40 feet. The layout is sort of an around the walls layout we designed during September 2011. The viewer is ‘inside’ the layout area and must move around to see and experience the whole scene. The layout design is a multi level layout with a couple of hidden helix’s to change from one level to the next. Let’s start our visual portion of the adventure by showing you the track plan. Just a little side bar here, as this is a layout under construction the track plan is fluid and may change somewhat as we are doing the construction. The statistics are as follows: ON30, Micro Engineering ON30 flex track where visible, and #5 switches. Atlas HO code 83 flex where hidden. 2% maximum grade on the mainline with 32 inch minimum radius with easements into and out of all curves. We are all about having fun with this railroad. Neither of us wants to spend tons of time building super scale structures or super detailed scenes. We are about getting the railroad running smoothly for operations sake and then as our life styles permit, add to the details later on. Please help us along by having fun too!